The American Metalcraft HMMJ4 mini mason jar has a 4-ounce capacity that is perfect for providing a unique presentation of dips, appetizers, and small side dishes. 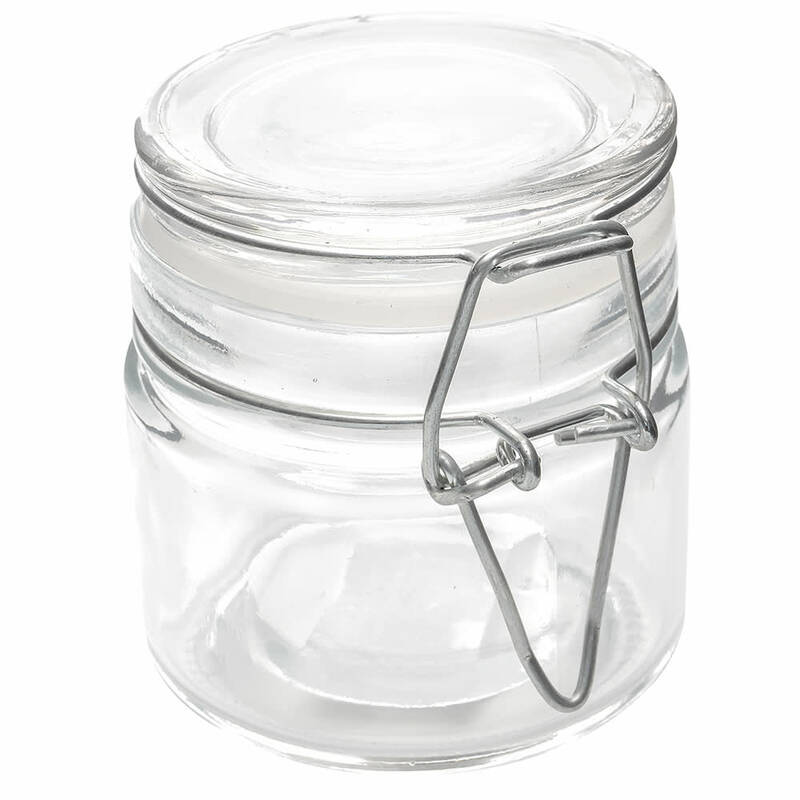 Its glass body enables staff members and customers to clearly see the jar’s contents. Its hinged lid creates an airtight seal that helps keep food in the American Metalcraft HMMJ4 mini mason jar fresh. The metal clasp on the lid is easy to open. "Fast shipping and appeared as expected"